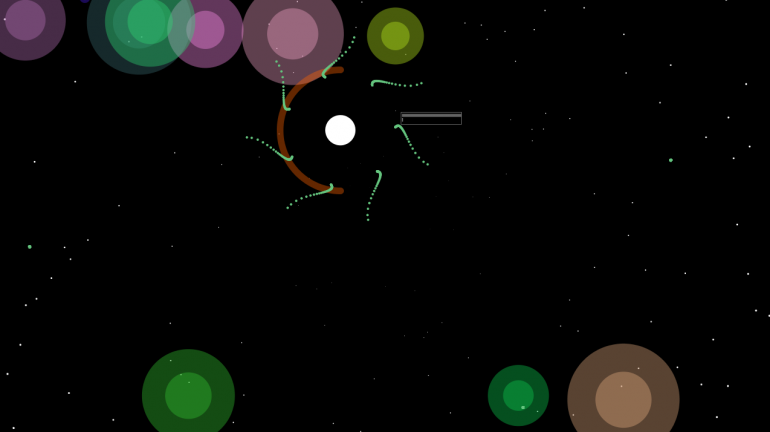 LIGHTRAFT is a bullet-hell game in which hell is the vast, never-ending reaches of outer space. Clumsily drifting through a backdrop of glimmering stars, the player has to avoid being hit by halos of colours, remains of forgotten supernovas. The only way to survive through the cosmos is to adjust the faders and knobs on the appropriate starboard controller to modify the thickness, rotation, scale and color of the ship’s shields. Mimicking the properties of these stardusts will make them fade away forever.